I firmly believe that Japan has the best food in the world - which I know is a very controversial claim. It almost doesn't matter what kind of food you like, you will find the highest quality of it in Japan. Of course the very best food is the Japanese fodo available, and the choice is almost mind-boggling. I am trying to work my way through as many kinds as possible. Luckily for my wallet I prefer the small Japanese bars that specialise in "Yakitori" or grilled meats and vegetables on skewers. Simply fabulous. Japan also has a strong drinking culture - to which I heartily subscribe. Nothing makes me happier than settling in for some sake tasting along with some grilled food. Fabulous. I have taken a number of photos of some of these establishments from the street. They often have a lot of character and some have been going for decades - the okace getting a worn character all of its own. Here are some of those photos. 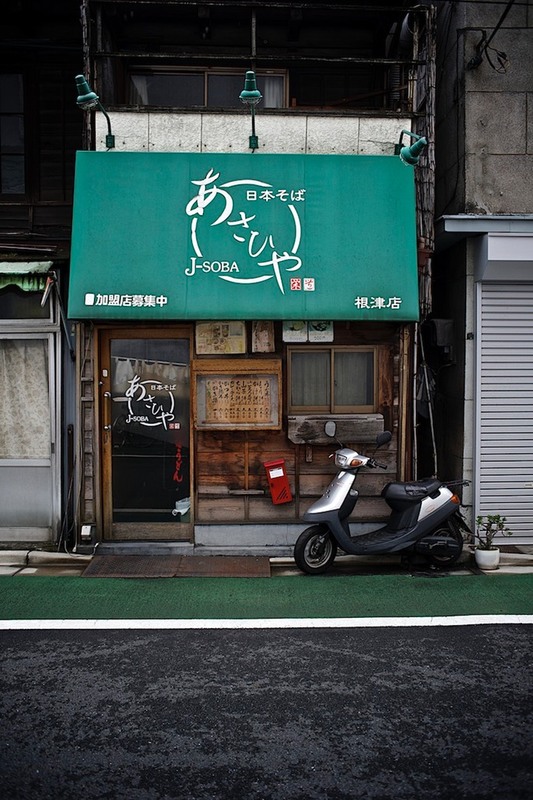 A very Japanese "fast" ramen shop in Shinjuku. You normally order at the machine at the door and your bowl of noodles is in front of you in minutes. Lecai M7, Leica Noctilux and Fuji Provia 100F. 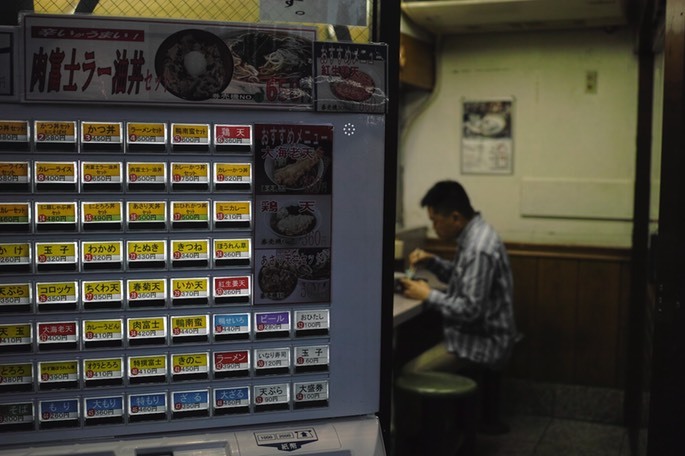 Here is an example of the Ramen ordering machine. They do get a little easier with pictures. Sigma DP2 Merrill. 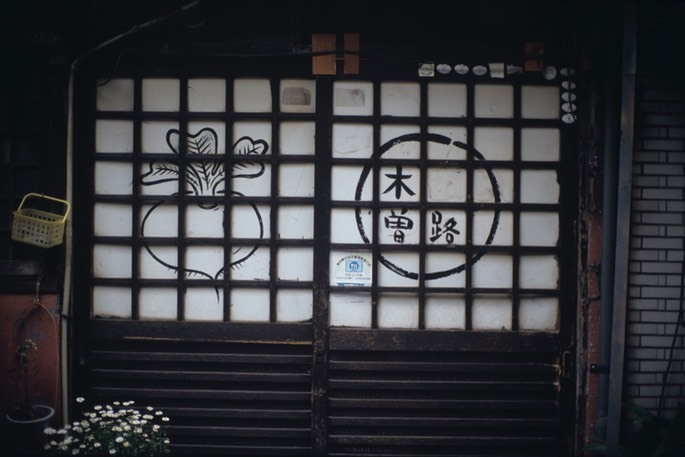 Soba are buckwheat noodles and the ultimate Japanese "fast" food. Even served on ice during the summer. These places usually deliver so have a motorbike outside for zipping the noodles around town. Nikon D3S with Nikkor 24-70 F2.8. 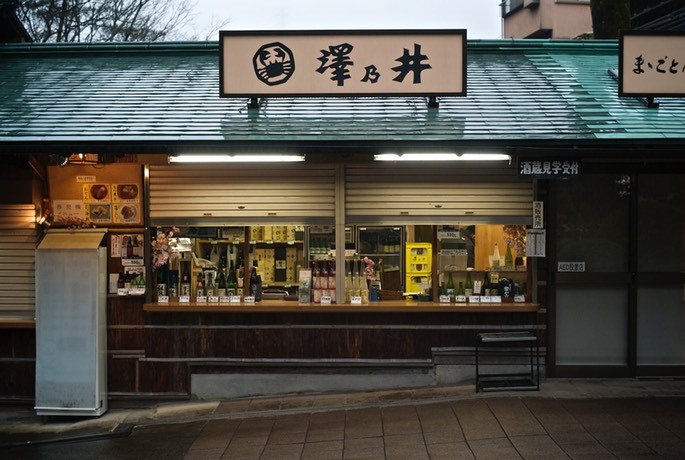 Another soba shop, this time in Yanaka. A more classic motorbike awaits a delivery order. It has a very complex tray arrangement on the back to keep the noodles even when cornering. Hasselbald XPan with Fuji ACROS 100. Recycled seats at a noodle restaurant in Meguro. 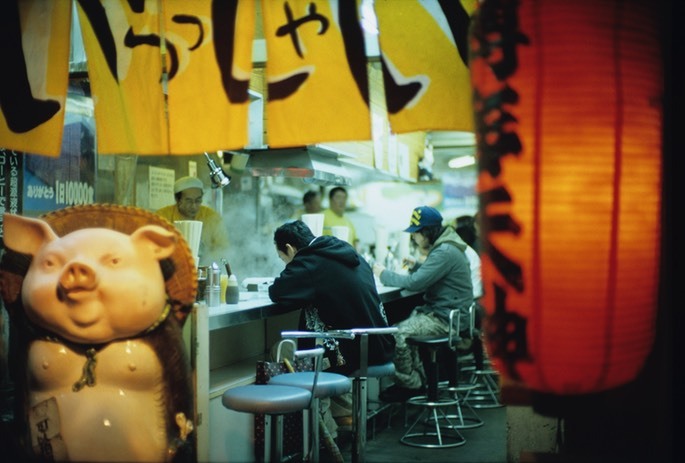 Leica M7, Lecia Noctilux and Fuji Velvia 100. 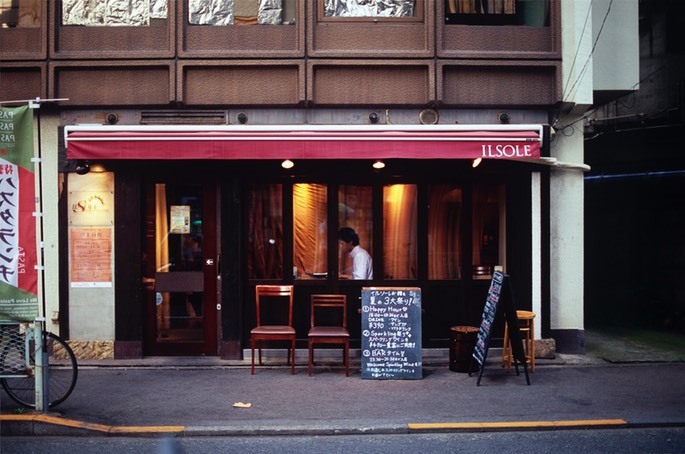 A cool looking French styled car and restaurant in Meguro. Anything French seems to be in fashion at the moment. Nikon F6, Nikkor 50mm F1.2 AiS and Fuji Velvia 100. 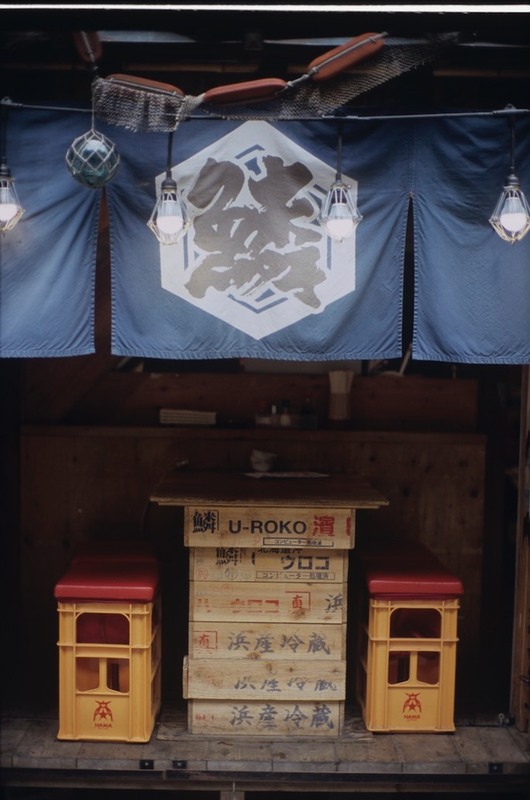 Just meters from my home, this family has turned their front room into an Izakaya. The bottles are a subtle form of advertising. 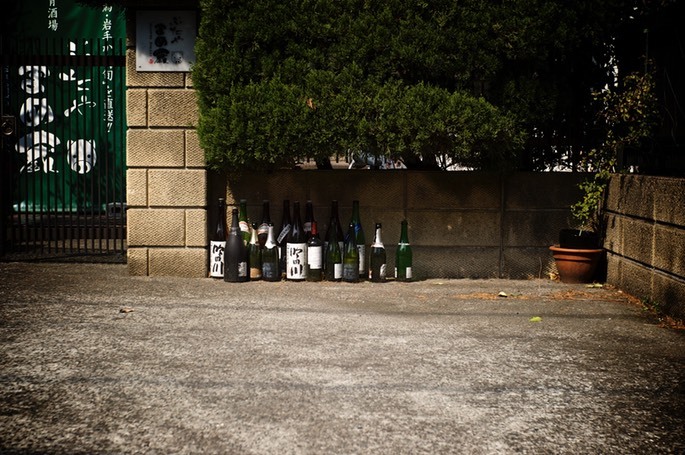 Only in Tokyo could you leave bottles on the street like this for years and not have them smashed. Epson R-D1s with Voigtlander 35mm F1.4 Nokton Classic.